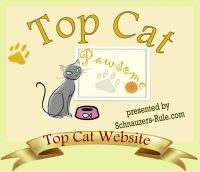 A wonderful collection of comic tales, told in an engaging comic strip format style, about the lovable but dopey cat, Boots. In the first of three hilarious stories told in graphic novel style in this book destined for multiple readings, Boots schemes to regain his prize napping spot from other cats through the use of treats. His next goofy adventure finds him meeting a duck, while the last story portrays the utter ridiculousness of cats attempting to play charades. About the Author: Satoshi Kitamura is a Mother Goose Award and Smarties Prize-winning author-illustrator, whose books include Millie's Marvelous Hat and What's Wrong with My Hair? Paperback children's graphic novel-format book was released by Andersen Press Ltd. on May 1, 2012. Note: Shipping will not show separately on your receipt for this supplier, but will be included in the total shown for this item. Please also be aware that shipping timeframes are based on when the supplier has this item in stock, not on when you place the order. Titles that must be ordered from the publisher will take longer than shown to arrive.